1. Stir : ملانا - گھولنا : (verb) mix or add by stirring. Stir the sugar in the tea. Stir nuts into the dough. 2. Stir : گھولنا - ملانا : (verb) move an implement through. He is stirring the milk. Churn - stir (cream) vigorously in order to make butter. 3. Stir : شورش : (noun) emotional agitation and excitement. Agitation - the feeling of being agitated; not calm. 4. Stir, Agitate, Budge, Shift : کھسکنا : (verb) move very slightly. 5. Stir, Ado, Bustle, Flurry, Fuss, Hustle : ہنگامہ : (noun) a rapid active commotion. Commotion, Din, Ruckus, Ruction, Rumpus, Tumult - the act of making a noisy disturbance. 6. 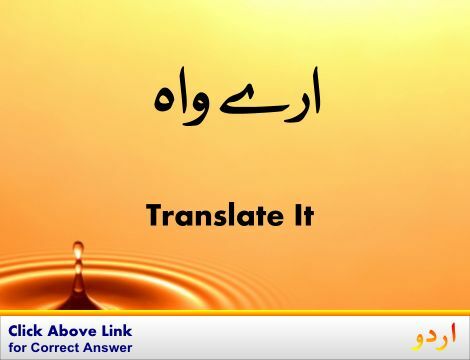 Stir, Excite, Stimulate : جذبہ پیدا کرنا - جذبات بھڑکانا : (verb) stir feelings in. Sensitise, Sensitize - cause to sense; make sensitive. 7. Stir, Excite, Shake, Shake Up, Stimulate : جھنجھوڑ کر رکھ دینا - ہلا کر رکھ دینا : (verb) stir the feelings, emotions, or peace of. Arouse, Elicit, Enkindle, Evoke, Fire, Kindle, Provoke, Raise - call forth (emotions, feelings, and responses). 8. Stir, Touch : متاثر ہونا : (verb) affect emotionally. 9. Stir, Arouse, Bring Up, Call Down, Call Forth, Conjure, Conjure Up, Evoke, Invoke, Put Forward, Raise : جادو کے ذریعے کچھ کرنا : (verb) summon into action or bring into existence, often as if by magic. Anathemise, Anathemize, Bedamn, Beshrew, Curse, Damn, Imprecate, Maledict - wish evil upon; appeal harm upon. 10. 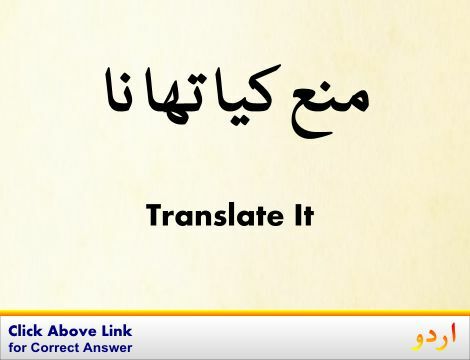 Stir, Arouse : بیدار کرنا : (verb) to begin moving,. As the thunder started the sleeping children began to stir. Stir It Up: Lessons in Community Organizing and Advocacy. A Stir in the Waters. Dostoevsky: The Stir of Liberation, 1860-1865A Flurry of Furry. Add : شامل کرنا : make an addition (to); join or combine or unite with others; increase the quality, quantity, size or scope of. "We added two students to that dorm room"
Implement : اوزار : instrumentation (a piece of equipment or tool) used to effect an end. Admixture, Commixture, Intermixture, Mix, Mixing, Mixture : ملاپ : the act of mixing together. "Paste made by a mix of flour and water"
Inspiration, Stirring : فکر : arousing to a particular emotion or action. Stir Fry : تیز آنچ پر تلنا : fry very quickly over high heat. 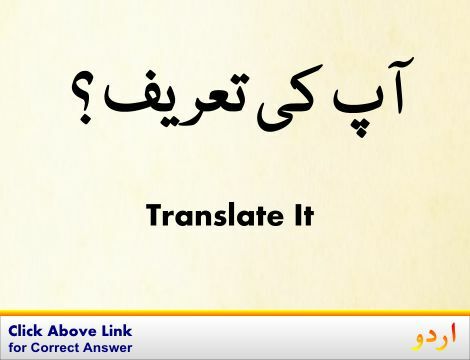 Stinter : پابندی لگانے والا : an economizer who stints someone with something. How this page explains Stir ? It helps you understand the word Stir with comprehensive detail, no other web page in our knowledge can explain Stir better than this page. 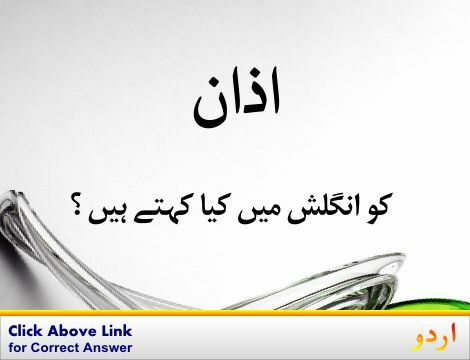 The page not only provides Urdu meaning of Stir but also gives extensive definition in English language. The definition of Stir is followed by practically usable example sentences which allow you to construct you own sentences based on it. You can also find multiple synonyms or similar words on the right of Stir. All of this may seem less if you are unable to learn exact pronunciation of Stir, so we have embedded mp3 recording of native Englishman, simply click on speaker icon and listen how English speaking people pronounce Stir. We hope this page has helped you understand Stir in detail, if you find any mistake on this page, please keep in mind that no human being can be perfect.